Turbo the height equals turbo the fun! 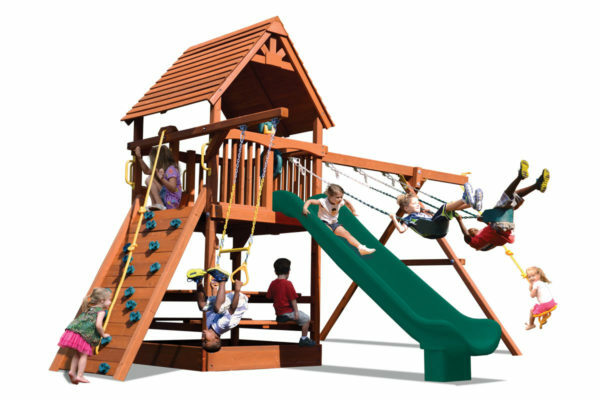 Longer slide, higher play deck, lap beveled wood roof, and a more challenging rock wall are just a few of the features that comprise the all new for 2016 Turbo Fort! Built to challenge the most active children (and parents), this play set has it all. Dare to compare and find once again why Playground One will let your imagination FLY!